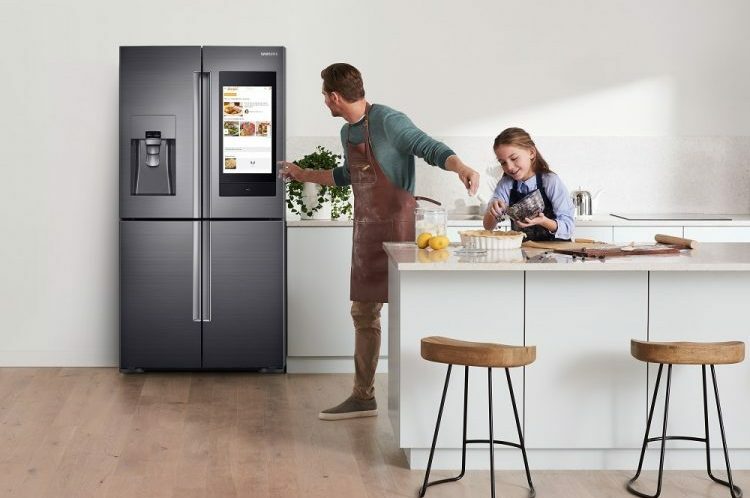 First shown off at the Consumer Electronics Show (CES) earlier this year, Samsung has now launched its “Family Hub” refrigerator in India at a whopping price of Rs 2,79,990. This is the latest model in the Korean giant’s Family Hub smart refrigerator series, which was first launched back in 2016. The Family Hub 3.0, as this refrigerator is known, has a capacity of a whopping 810 liters and sports a triple cooling functionality. However, these are simply the usual specifications and the highlight of the Family Hub is the huge ’21-inch touchscreen’ on the right-hand-side front door. You can use this screen to view recipes or leave notes for kids to clean their room or complete their homework. It can also be used to view news, weather and other updates. Not just that, you also get support for SmartThings ecosystem, Samsung’s own voice assistant Bixby, and AKG speakers with this third iteration of the refrigerator. This is going to make it easier for you to listen to music while cooking, where Bixby can lend a hand with the cooking. The highlight of this smart fridge, however, is the integration of Samsung’s SmartThings ecosystem. It allows users to not just control the company’s smart home devices but also third-party devices that are supported by this service. Users can control their lights, thermostats, doorbells, monitor baby cameras, and more. Family Hub offers a wide range of smart features that allow consumers to do what they could not do before. These include syncing up food storage, keeping family members better connected and organized, and providing enhanced entertainment. Family Hub 3.0 also comes with a built-in View Inside camera allows the users to digitally label their food with expiration dates, or use their phone to take a quick look inside their fridge from anywhere in the world. This is an interesting feature that can be used to easily manage food within the refrigerator. 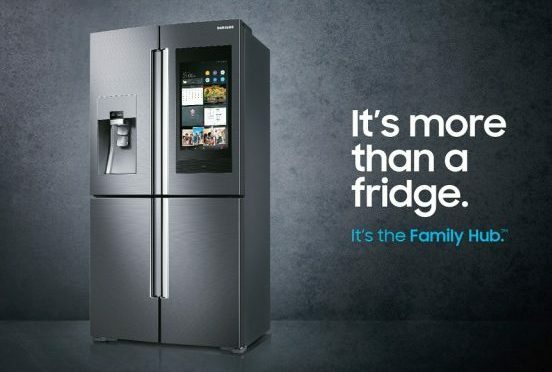 So, if you are interested in buying the Family Hub 3.0 refrigerator, then it is now available for pre-booking exclusively via Samsung’s online store and Amazon. Every user who pre-books this smart fridge will get a free Galaxy S9 smartphone, so you can have even more Bixby time.